"I was truly impressed by Caddie Connection�s professionalism, enthusiasm, and experience at the Inaugural Driving for a Cure Golf Tournament. It was incredible to see how they were able to smoothly support such a large event. " 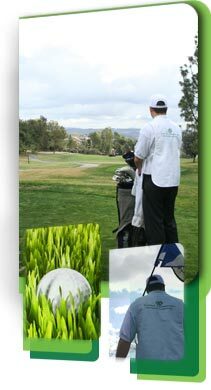 Planning a golf charity event, corporate outing, or fundraising tournament? Our caddie masters will work with your tournament coordinator to make sure participants are placed with qualified caddies. Add a level of professionalism to your next golf tournament and impress clients with caddies from The Caddie Connection. The Caddie Connection offers special tournament pricing that can help make your next event a step above the rest. We have tournament planners that can make sure every participant receives special caddie treatment, seamlessly integrating our services into your event. If you are planning a charity event, we can also help you increase your revenue through sponsorship opportunities. Our caddies can be outfitted with customized bibs on which sponsors can showcase their logos. Use the form below or email Tournaments@caddieconnection.com for more info. Submit the following details and you will hear back from us soon!